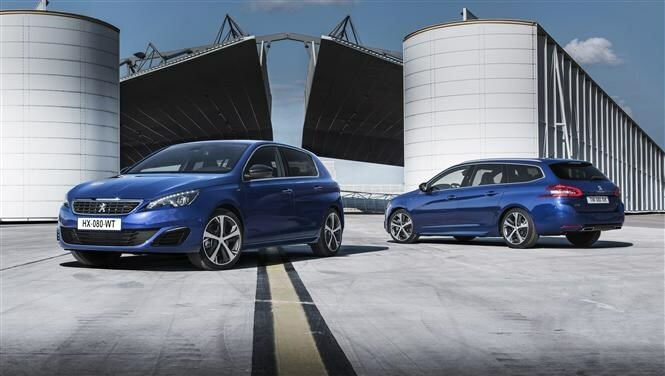 Peugeot has announced all-new 308 GT models for both the hatchback and estate – or SW – versions of the firm’s Ford Focus rival. This is the company’s attempt at a higher-performance model and it’s been given a range of tweaks to make the 308 more desirable as a performance car. While we've yet to drive it, the changes here look set to bring the 308 up to 'warm hatch' status. By that we mean it won't be a hard-edged performance car of Renaultsport Megane or Astra VXR ilk, but rather something slightly softer like the Kia Ceed GT. 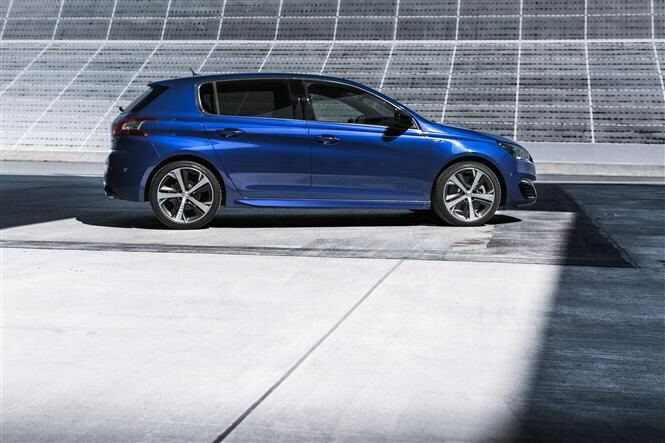 Peugeot has tweaked the aesthetics of the 308 to reflect its new sporty demeanour and for that reason it gets a drop in ride height along with a set of 18-inch alloy wheels. The suspension is also stiffer and a set of high-performance tyres are fitted to get the most from the car’s chassis improvements. A set of bigger brakes are behind the new wheels to help the car cope with the extra power on offer. The bespoke body styling doesn’t stop there, with a redesigned front grille flanked by a pair of top-spec LED headlights and some clever new indicators which move from the inside to the outside of the car. At the rear you get a pair of exhaust pipes and a gloss black lower rear bumper, while a special blue paint hue is exclusively on offer for GT customers. Red stitching and aluminium detailing reminds the occupant they’re driving something more special than a conventional 308, and the ‘i-Cockpit’ seen in all 308s gets special programming to reflect the car’s sporty nature. The final piece of the puzzle is a perforated leather steering wheel with GT badging. Each 308 GT is fitted with the Driver Sport Pack, which includes a range of features to further accentuate the car’s sporty pretensions. For example, the engine noise is amplified in the cabin and the instrument display is illuminated in red. Parameters such as power, torque and accelerative figures are displayed on the instrument panel, while engine and steering performance has been sharpened for sportier driving. This pack can be ‘disabled’ too, for times when a more comfortable set-up is more suitable. A range of safety systems have been installed too, all using the radar mounted at the front of the car. There’s adaptive cruise control, a collision alert system (which alerts the driver if an impending collision is detected) and a system which applies the brakes early to avoid or mitigate a crash when the car detects an imminent one. There’s a choice of two engines for the GT. The first is a 1.6-litre petrol attached to a six-speed manual gearbox. Dubbed ‘GT 205’, it’s likely this will have around 200bhp, 285Nm of torque and is going to emit 130g/km of CO2 and will return a claimed 50.4mpg in hatchback form, the estate managing 134g/km and 48.7mpg respectively. A diesel model is available too, called the GT 180. As the name suggests, this one gets closer to 180bhp but also gets 400Nm of torque so it’s going to accelerate pretty quickly. It’s coupled to Peugeot's new 'EAT6' six-speed automatic gearbox, which impressed us with its smooth, unobtrusive shifts when we sampled it in the facelifted Peugeot 508 recently. Headline efficiency figures are 103g/km CO2 emissions and fuel economy of 70.6mpg for the hatchback. The slightly bigger SW boasts 107g/km and 68.9mpg respectively. 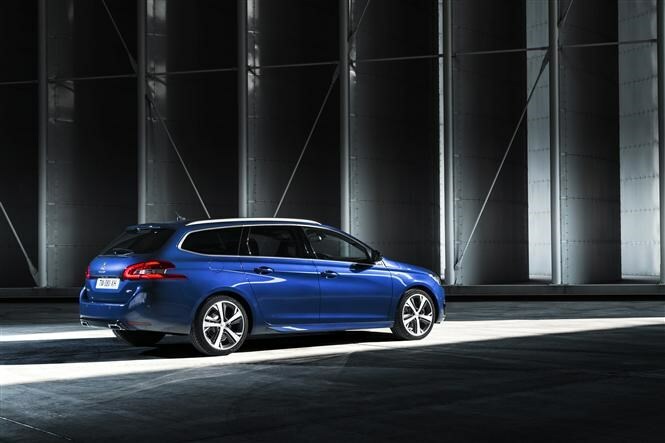 Set to be officially unveiled at the Paris Motor Show in October, orders begin in November and the first deliveries of the new 308 GT will begin in January 2015. 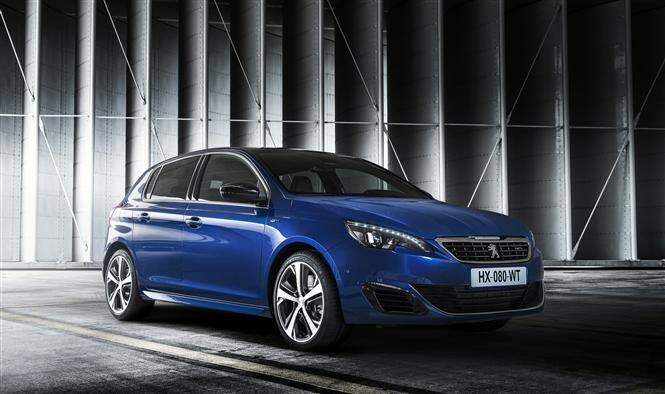 Read the full Peugeot 308 review or Peugeot 308 SW review.